The Ashbury subdivision offers new homes for sale in Eagle, Idaho. Choose from a wide range of home designs to fit any lifestyle. Located at the northwest corner of Meridian Rd and Chinden Blvd, Ashbury also offers buyers the opportunity to reside in one of the luxurious Garden Villas. You may also choose a custom home located on a prime one-acre lot. Homes for sale in Ashbury offer homeowners a community equipped with spacious common areas, playgrounds, and an inviting community pool. Learn more about Ashbury real estate just below. Build Your Dream Home On One Of The Last Acre Lots In Ashbury. Great Location, Great Schools, Great Subdivision And Amazing Custom Home Builder Christensen Homes. Neighborhood Features Walking Paths, Parks, And A Community Pool. 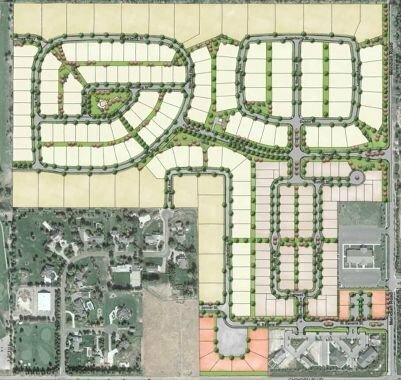 Similar new home communities include the BainBridge subdivision and Paramount (Meridian, ID). Browse all new homes in Eagle Idaho. From Eagle Rd head East on Chinden Blvd (US 20 / 26). Turn North on N Meridian Rd, then left on W Temple Dr.
Get the Eagle experts working for you. Contact us today to get the latest Ashbury, Eagle real estate information - (208) 391-4466. Listing information last updated on April 20th, 2019 at 2:37am MDT.